Instead of cycling the 200km back to Leh along the same route we had just accomplished, my British cycling buddy and I decided to try our luck at hitchhiking. After two hours without cars, a few army trucks passed where we were waiting and graciously picked us up. As we hopped into the back of one of the massive trucks, we were greeted by a dozen very friendly Seek Indian army men. They all had dark green turbans and goggles, and smiled and laughed at us as we joined them for a ride until the next army base camp. From there, the driver hooked us up with another truck who was going another 50km farther, but not before shaking our hands and handing us each a bar of delicious chocolate. Our second ride of the day took place amongst many boxes and gear, with two other soldiers, in the back of an equally massive truck. During both of these rides, each time we passed through a village the children would run after the trucks with their arms out wide asking for candy. I have never wished I had a bag of lollipops to hand out more than whilst in those trucks. 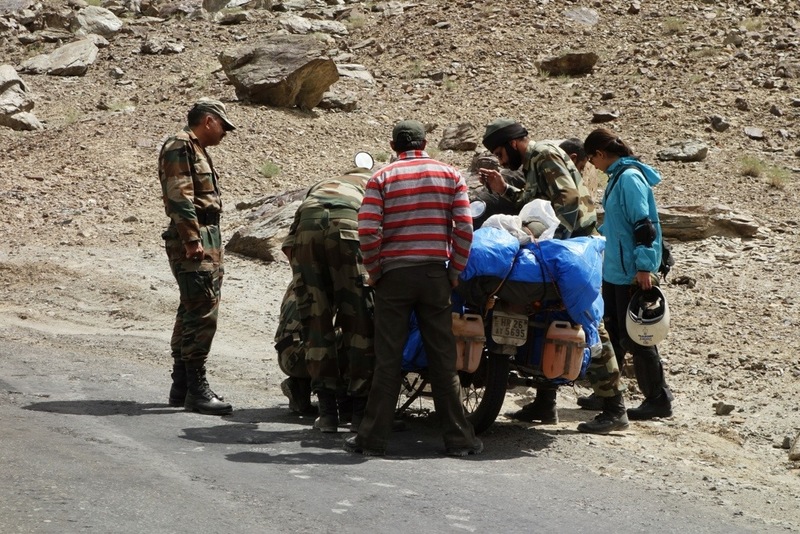 The Indian army, at least up here in Ladakh, is much different than any other army I have ever encountered. Not only did they pick up two cycling hitchhikers, something an American or European army would never consider, they also stopped to help a broken down motorcyclist along the way. Though they are still an army, and I don’t believe in what they stand for as professional killers, I have much more respect, at least for this particular army, in terms of who are they. After our two rides with the army we realized we were slightly stranded in the middle of nowhere with absolutely no passing cars. So, we decided to cycle. We knew forty kilometers away there was a town, and with any luck, we would have more of a chance of finding a ride there. 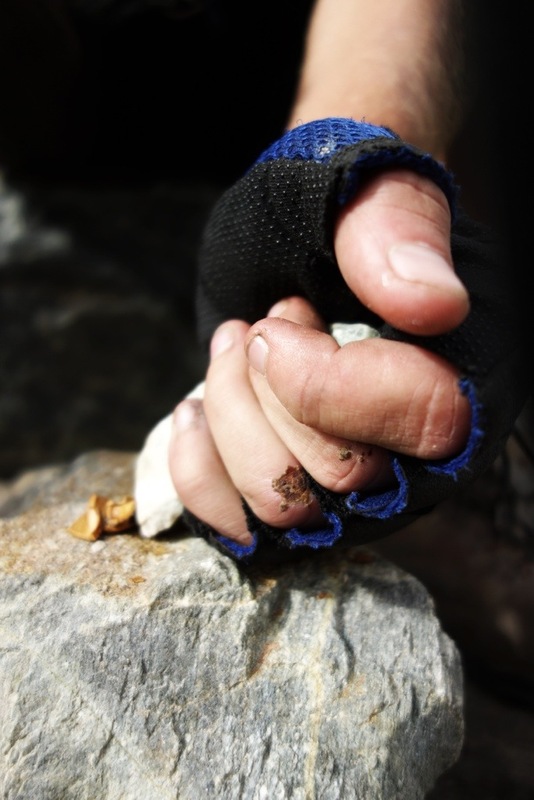 Once we arrived we were absolutely starving, it was three in the afternoon and we had eaten little more than a few dried apricots and a small packet of biscuits. I was not in the mood to cycle either, and was half tempted to just plop down in the middle of the road and call it a day. We finally arrived at a town, but passing through we realized something was wrong. Absolutely every shop was closed, and the streets were empty. It was Sunday. We ate a few more biscuits and picked up some chocolate bars and a bag of crisps from the one small open shop, and cycled on, ready to spend one more night camped out before trying again in the morning. Just as we were giving up a small truck passed, and I frantically flagged him down and asked if we could jump in. The nice couple agreed, and we spent the next four hours huddled in the back trying to keep warm as the sun set and the stars came out. 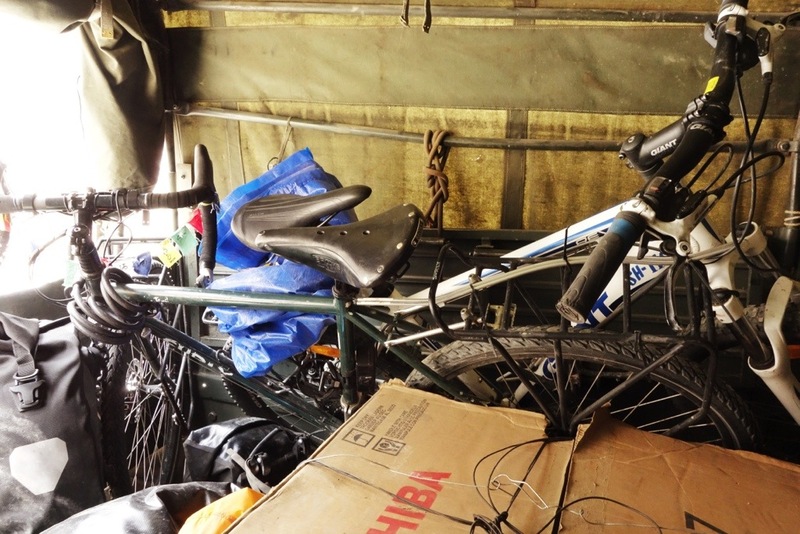 The thirty kilometers of unpaved road was absolutely hell (and very cold, as we climbed, once again, to 5,600m at night) because it was so bumpy, and squished between the bikes, their boxes, and the metal cage of the truck, there really was no cushion for each jarring clash. We made it though, after about 15h of travel, 40km of cycling, and three trucks rides, we made it safe and sound, and very hungry to Leh. We proceeded to order three meals each, which more than made up for the slightly tiring journey of high highs, and low lows, we had encountered. While waiting for a ride, the British boy I was with taught me that inside apricot pits are almonds! 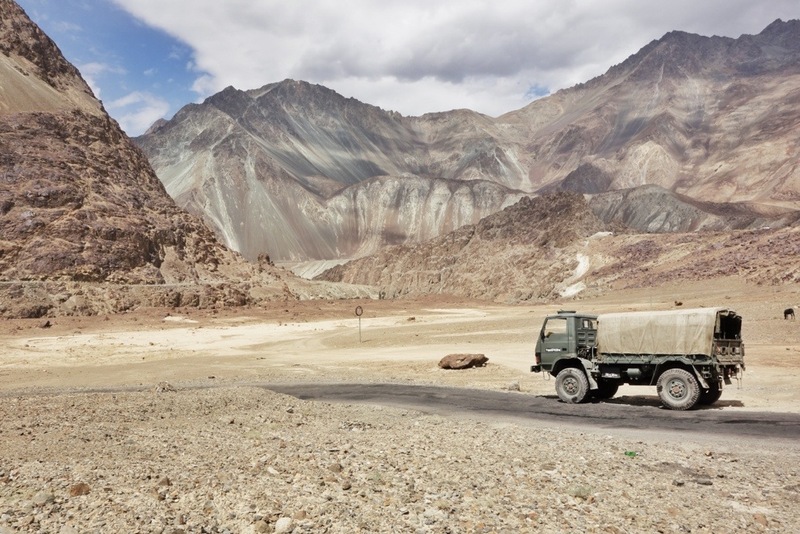 This entry was posted in India and tagged cycle, India, Ladakh, Nubra valley by The Wandering Nomads. Bookmark the permalink. Very happy to follow your blog. Even if i don’t undertstand all, i learn some more vocabulary and it’s good for me to read english. Awesome adventure and roads look like very difficult. It’ll very easy when you’ll be riding in New zeland… .